The ORIGINAL Mobile Dispensing Scooter. 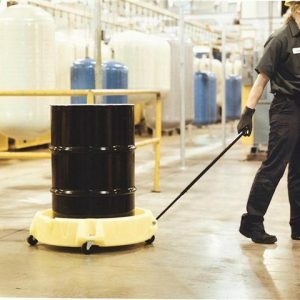 Dispensing drums while transporting them around the plant is no longer a problem thanks to our Spill Scooter. 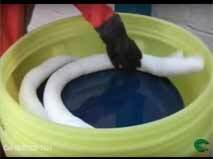 The Spill Scooter provides secondary containment or incidental spills and drips which often occur during vertical dispensing applications. Optional metal T-Handle (Product No. 5206-BK) available.